People passing on the street smile when the flag is hanging on the front of the house. Kids pass by gladly and the heart-warming air flows through the town. 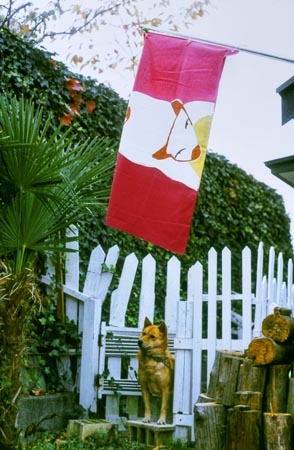 It is good to hang this flag on special days, or it can welcome guests. The flag spices up life.